Learn how to query, filter, sort, and page over huge tables in milliseconds rather than in seconds or minutes. Ext Speeder is a tool for automatically generating Sencha Ext JS back end REST interfaces directly from existing databases. Ext Speeder can also use an in-memory cache to back data grids with hundreds of million elements with extreme performance. Often, web applications are slower than we would like them to be. Companies like Google and Facebook have in-house solutions for speeding up their applications. There is a need for a third-party tool that we developers can use to achieve something similar, without needing to spend hours to optimize the code and the database. The last couple of months, I have been busy contributing to a project that speeds up the response times and also makes it much easier to develop the back end parts of web applications. 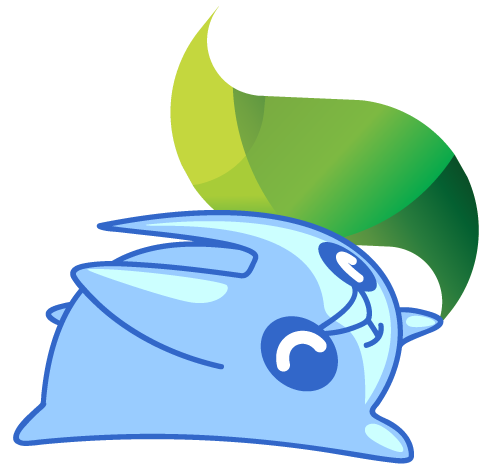 The project is named Ext Speeder and was developed together with Sencha, the company behind Ext JS. It allows Ext JS developers to speed up their data grids more than 10 times. We have created a tool that connects to an existing database and extracts the schema model so that back-end code can be generated automatically. Indeed, there is no need for writing a single line of back-end code in most situations. If we have special requirements (like adding our own models to the existing data), it is easy to add or modify the code that was generated by the Ext Speeder tool. Check out this 1.5-minute video by a guy that holds the current world record in developing and deploying a Sencha Ext JS application with the tool (he does it in less than 1.5 minutes). Can it be done faster? How Much Faster Does It Get? When an Ext Speeder application is started, it can pull in data we have selected into an in-JVM-memory store so that data can be accessed and processed much faster. Data is also organized in a column-oriented way. Thanks to that, sorting and filtering on a column can be done in nanoseconds rather than in seconds. Because Ext Speeder can use an off-heap storage engine, we can pull in an almost unlimited amount of data. An Ext Speeder application can easily handle one hundred million elements. Ext Speeder can also refresh the in-memory data periodically in the background, so that we will see the latest data in the database. Giving fair benchmark figures is always hard. To give you an idea, we took an existing public database containing a large number of medical doctors in the US with over 40 million elements and stored them in a standard MySQL server (version 5.6.29) with indexes added to the relevant columns. We then compared typical web access patterns containing sorting, filtering and paging with Ext Speeder versus using the MySQL database directly. On average, Ext Speeder was more than 100 times faster. What is the real-life gain with such speed improvements, in reality? Well, imagine a web user that is used to waiting some seconds between each interaction. Now that person could suddenly get immediate feedback and the site would feel much more responsive. Check out this 1-minute video to see the difference. This will retrieve doctors that graduated before 1970 sorted by last name starting at the 10:th such doctors and limiting the result to at most 100 physicians. On my laptop, the round trip REST call was completed in less than 0.04 seconds (A human would not notice that kind of delay). The "sort" attribute can contain several columns so that sorting can be done in many levels. The 'filter' attribute can be composed of several filters so that several conditions can be applied. We can use the operators Equals ("eq"), Not Equals ("ne"), Less Than ("lt"), Less or Equal ("le"), Greater Than ("gt"), Greater or Equals ("ge"), and Contains ("like"). "claims_based_aff_LBN_1": "ROBERT WOOD JOHNSON UNIVERSITY HOSPITAL, INC"
"claims_based_aff_LBN_1": "PROVIDENCE HEALTH SYSTEM - SOUTHERN CALIFORINA"
The 'total' property in the response indicates how many of the rows actually matched the filter (in total) so that data grids can set the appropriate scroll bar location and size. Deployment is easy. Either deploy an Ext Speeder application as a stand-alone application (just run its main Java method) or deploy it as a Java EE application (upload the self-contained WAR file to the server). Any Java EE server would do. For example Tomcat, Glassfish or Oracle WebLogic. This way, the application can automatically benefit from features such as company security policies, authentication, encryption, load balancing etc. Go to http://www.extspeeder.com/ to request a free trial. The user's manual can be found on the same webpage. I would be happy to get feedback on the experience or suggestions for improvement, so please share your thoughts in the comments section.